The partners are veterinary surgeon, Margaret Thompson and practice manager, Sally Nus. But the two young mothers got to thinking it was a good idea after all. Sally’s three boys were growing up and she wanted to return to a work environment after 15 years as a stay-at-home mum. Margaret, with three young girls, had been doing some casual work as a vet, including “doing work from home”. They found a house in Briggs Road, just north of Bonorong wildlife sanctuary, painted it throughout, widened doorways, constructed a ramp for easy access, put up signage and were open for business. In setting up the practice the partners have been confident they’re serving a fast-growing community. They have local knowledge – Sally, 42, and Margaret, 38, have homes in Brighton. Sally went to school in Campania and Rosny. Margaret grew up in Oatlands and studied veterinary science at Melbourne University before returning to Tasmania in 2000. With six children between them, the partners are committed to using the clinic to give young people work experience. Zoe Brown, who lives on a farm in the Derwent valley and attends St Mary’s College, recently spent time at the clinic. And Hillary Ramirez, an 18-year-old from Costa Rica in Central America, has also been gaining veterinary science experience at the clinic. She’s in Tasmania for five months, currently staying with a host family in New Norfolk. Hillary is part of the international not-for-profit American Field Service, which promotes world-wide peace through student and volunteer exchange programs in 50 countries. The clinic has answered calls for help from neighbouring Bonorong wildlife sanctuary. The vets make house calls around the municipality and attend to creatures great and small – from cattle to mice. Brighton Veterinary Services also offers assistance further afield, due in no small way to Margaret being remembered in the Midlands as a girl growing up in Oatlands. One day each month Margaret is on the road from Ross to Runnymede attending to animals in need of her care. “Our practice has developed outside the municipality by word of mouth,” she said. 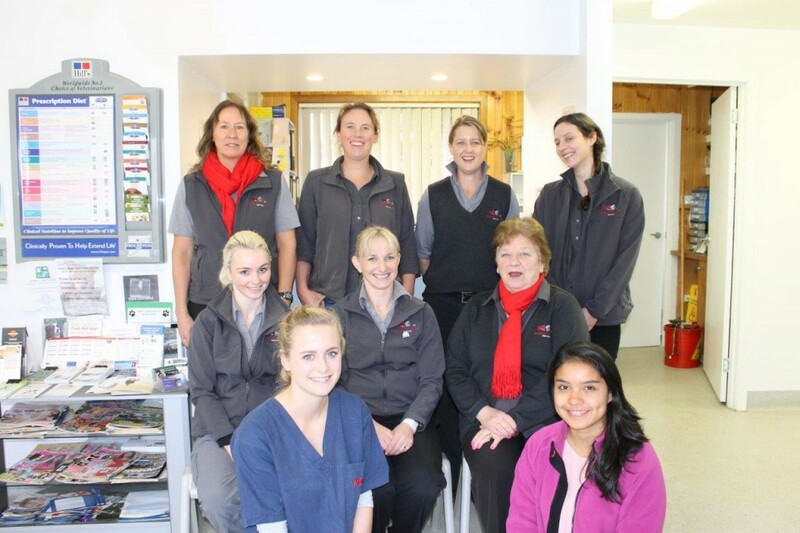 The clinic’s rapid growth has resulted in the employment of two more vets – Sharyn Tilgner, from the Blue Mountains in NSW, has been with the practice for two and a half years, and Natasha Williams, from Adelaide, joined a year ago. The practice has come a long way from when two young mothers were having a casual chat in Tea Tree seven years ago.